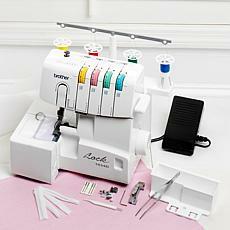 A serger sewing machine is an essential piece of equipment for any craft enthusiast. 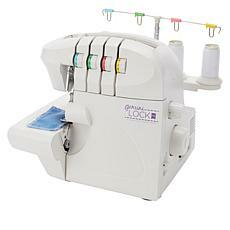 These clever machines bind fabrics together with an overlock stitch while trimming the excess at the same time. They are considered the ideal companions to modern electronic sewing machines, as they strengthen and neaten seams for a professional-looking finish. 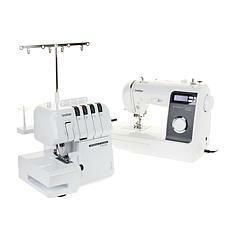 HSN carries a selection of serger sewing machines from trusted manufacturers including Singer, Janome, and Brother. Special features on these mechanical sewing machines like all-purpose feet and adjustable differential feeds help you take greater control of your sewing projects. Most people agree serger machines are easier to use than classic sewing machines, but HSN leaves nothing to chance. 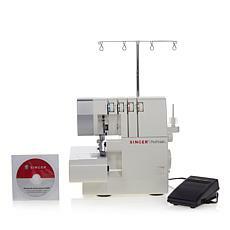 Every serger machine available at HSN.com also comes with an instructional booklet and DVD to help novices make the most of their new purchases. 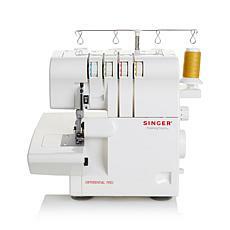 A serger sewing machine makes a great investment piece for any aspiring fashion designer and sewing enthusiast. Make a single payment or enjoy the flexibility of HSN's FlexPay program, which lets you enjoy your serger sewing machine now and pay it off over time. Shop with confidence with generous manufacturers' warranties of up to 25 years, depending on your preferred serger machine.